On Friday, May 11th, Foley Sonoma kicked off their Friday Night Art & Wine Series, welcoming a lively crowd to celebrate an evening of food, music, art, and wine. The event was the first in a summer-long series dedicated to bringing together local artists, musicians, and members of the community and featured artist Sheryl Chapman and the Ricky Ray Band. “We just want to bring everyone out to the property and celebrate the summer in Alexander Valley,” said Foley Sonoma winemaker Courtney Foley. In addition to art and music, guests were offered small bites prepared by Foley Food & Wine Society Executive Chef Larry Forgione. The Friday Night Art & Wine series will continue on June 8th, with installments following on the second Friday of July and August. The event is free and family-friendly. For more information on this and other upcoming Foley Food & Wine Society events, visit our Events page. Nestled on a gentle knoll shadowed by the nearby Mayacamas Mountains, the site of Foley Sonoma typifies the peaceful, serene beauty of the Alexander Valley in the world-renowned Sonoma County, just eighty miles north of the Golden Gate Bridge. 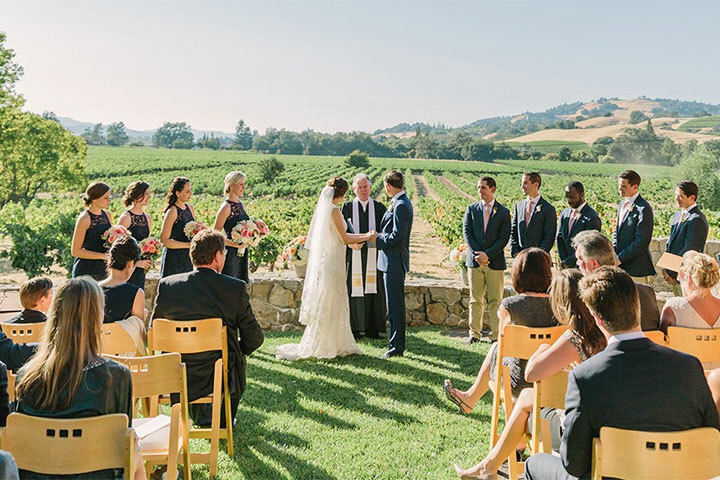 Whether it’s a wedding, birthday, or other event that requires a beautiful setting and wonderful wine, Foley Sonoma is the perfect choice. 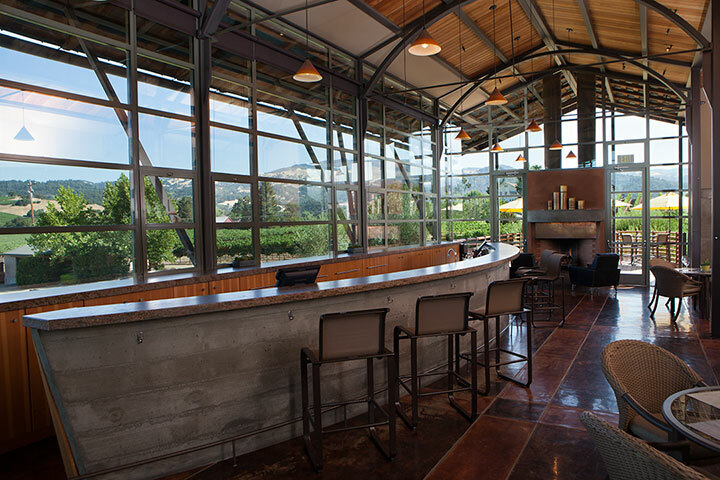 The winery affords gorgeous views of the surrounding vineyards and the rugged Mayacama mountain range. 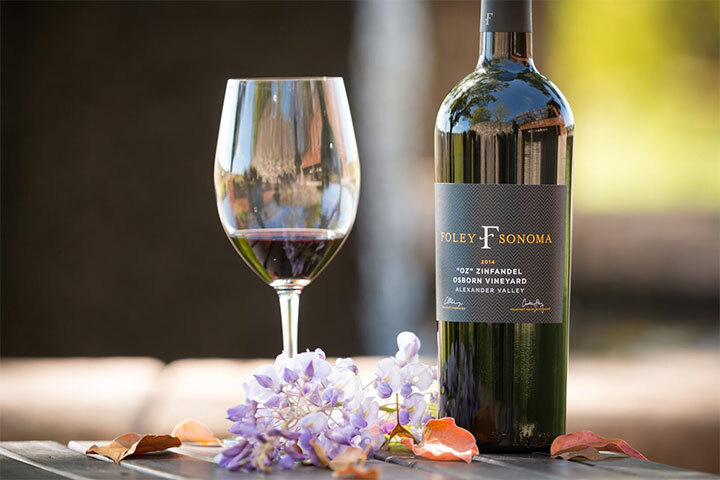 Foley Sonoma is a proud member of the Foley Food & Wine Society. As an FFWS member, you’ll be enrolled in our Society Points program. Receive points for every dollar you spend with The Society. Use your points to unlock incredible rewards. Receive access to special pre-release and limited-production bottlings and invitations to private member-only events. Club members receive discounts on wine and merchandise and complimentary tastings for up to 4 people. Plus, you will receive complimentary tastings and a minimum 10% discount on wine and merchandise purchases at any of our Sister properties. Our winemaking philosophy is about pure varietal expression which produces award-winning, balanced wines rich in fruit and deep in character. The Vineyards produce 4,000 to 6,000 cases annually from the following varietals: Cabernet Sauvignon, Cabernet Franc, Chardonnay, Malbec, Merlot, Petit Verdot, Sangiovese, Sémillon, Tannat, and Zinfandel.